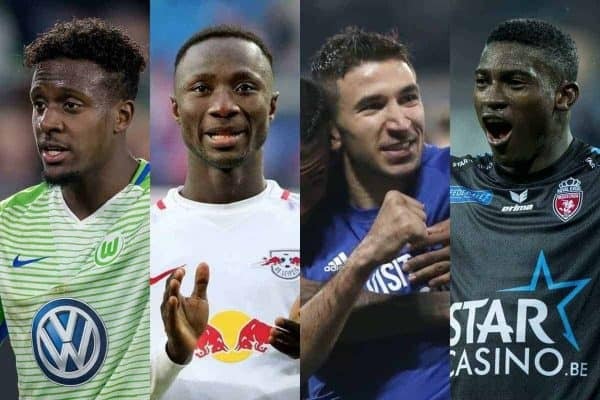 Liverpool’s loanees were on fire this week, as Taiwo Awoniyi scored, Lazar Markovic and Divock Origi claimed assists and Harry Wilson did both. After a couple of quiet weeks the borrowed Reds were back to top form with goals, assists and impressive displays in abundance. Only five loanees went without action, with Daniel Sturridge and Marko Grujic injured, Ryan Kent and Corey Whelan unused while Allan Rodrigues saw his loan ended. The majority of those who played impressed and here is the lowdown on their fortunes. Great win today and a goal?? well done team @hullcity ? Thanks for the support?? After being rested for Hull’s midweek draw at Wolves, Wilson was back with a bang to inspire the Tigers to a 4-0 demolition of QPR by scoring one and setting up another. Playing left wing, Wilson opened the scoring before half-time as he picked out the far corner with a precise finish from a difficult angle inside the box after arriving with a late run. And after switching to the right in the second-half, Wilson laid on his side’s third goal as he threaded a perfectly-weighted to Kamil Grosicki who finished. Wilson now has four goals and two assists from just nine appearances for Hull, and it is fair to say his spell at the KCOM stadium has already proven a roaring success. Liverpool’s standout loanee netted his second goal in as many games to help Royal Excel Mouscron to a 2-1 win over Kortrijk on Sunday night. 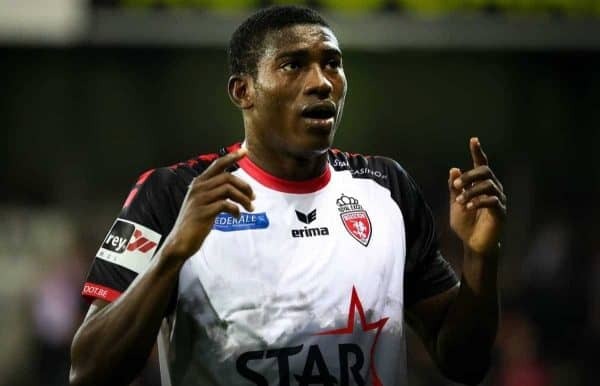 With Mouscron having fallen behind early on, Awoniyi drew his side level before the break as he rose highest to meet a corner and head home from six yards out – as you can see here. The goal was vitally important as it set the wheels in motion for an impressive comeback which moved his side to top spot in the Jupiler League’s Europa League play-off group. It was also the 20-year-old’s 10th goal—added to six assists—of what has been a superb campaign in which Awoniyi has come on leaps and bounds. It’s been a truly miserable season for Markovic but the Serbian finally enjoyed a positive time of things on his first start for Anderlecht. The 24-year-old marked the occasion with an influential performance and an assist as he impressed playing as a secondary striker in a 2-1 win at Charleroi. It was Markovic’s fine work that gave his side an early lead, as he showed good movement and delivered a superb cross to the near-post for Ryota Morioka to convert. 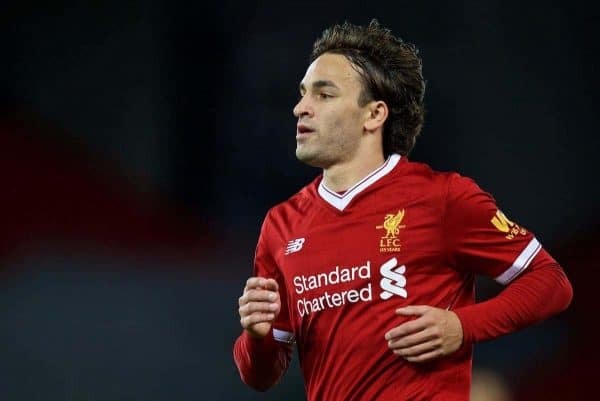 Markovic went on to complete 90 minutes for the first time this season and he will hope it’s the first of several before the end of the campaign after proving his worth. 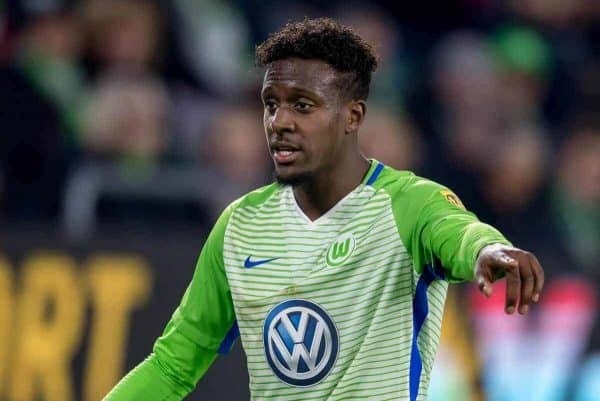 It proved a weekend of resurgences as Origi also produced a marked improvement at Wolfsburg, with a magnificent assist in a 2-0 win at Freiburg. Coming off the bench with his side 1-0 up and 15 minutes left, the Belgian delivered a stunning piece of play from which his side wrapped up a much-needed victory. Heading towards the by-line and with little space to work, Origi produced an outrageous back-roll nut-meg to beat his marker before fizzing a great pass into the box for Daniel Didavi who arrived and finished. Origi will similarly hope his second assist of the campaign draws a line under a miserable spell and inspires a stronger end to the season. 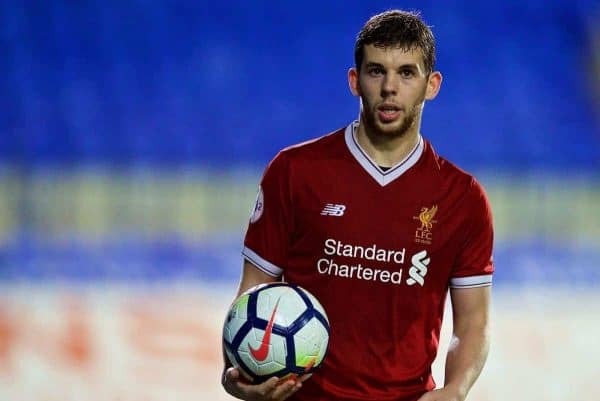 Starting in the Championship, Jon Flanagan featured in one of Bolton’s two games, playing all of a 1-0 loss to relegation-battling rivals Birmingham on Tuesday night. This was the same for Sheyi Ojo who made just his second start since January in Fulham’s second fixture this week—a 1-0 win at Sheffield Wednesday on Saturday. Ojo played an hour of the vital victory which moved his side to within two points of Marko Grujic’s second-placed Cardiff. Ovie Ejaria was as a late substitute for the second game running as League One-bound Sunderland drew 1-1 at Leeds on Saturday. In the lower leagues, Matty Virtue enjoyed back-to-back starts for the first time since January at Notts Country, as he followed last week’s full game with another in a 2-1 win over Coventry. Andy Firth continues to enjoy a run as Chester’s No.1 but the ‘keeper’s wait for a first win goes on after a 2-0 to loss Tranmere. In Scotland, Connor Randall was back in Hearts’ starting lineup after two games on the bench, and he played all 90 minutes in an impressive 2-0 win over Aberdeen. 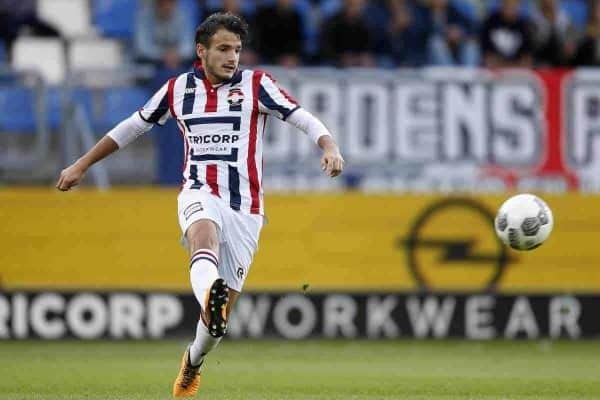 Two more European Reds were in action, including Willem II’s ever-present midfielder Pedro Chirivella. The Spaniard made his 29th start of the season for the Eredivisie outfit, but couldn’t prevent his side going down to a 2-1 loss to Excelsior. And finally, Colombian full-back Anderson Arroyo made it nine games unbeaten since joining Real Mallorca’s B side as he helped keep a seventh consecutive clean sheet in a 2-0 win over Constancia. The soon-to-be-Red featured as RB Leipzig battled to a 1-0 win to take a slender advantage in their Europa League quarter-final tie against Marseille. 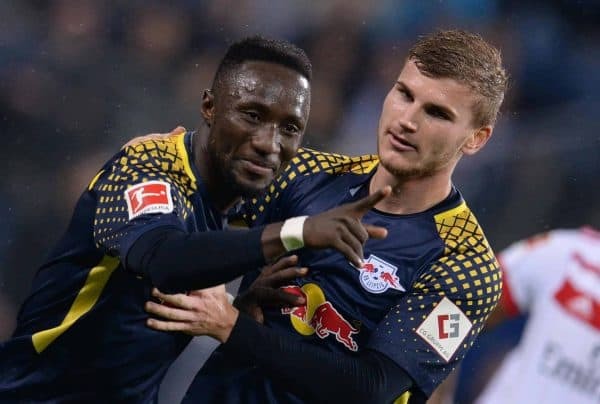 Keita operated in his playmaking midfield role and was in solid form in his only outing this week, with Leipzig not in action until Monday night when they host Bayer Leverkusen. You can see how Keita gets on for yourself, with the game being shown live on BT Sport 1 with kick-off at 7:30pm.